Kenny Taylor is a Black-Isle-based writer, lecturer, broadcaster and musician. His enthusiasm for variety of wildlife and cultures has taken him on research and media-project travels throughout Britain and Ireland and to southern and central Europe, Scandinavia, Canada, the U.S. and Africa. His work is inspired by diverse sources, including folklore, music, natural and local history and science. He has written more than ten hardcover and softcover books, including ‘Natural Heartlands’, which was shortlisted for the international BP/Natural World Book Prize. 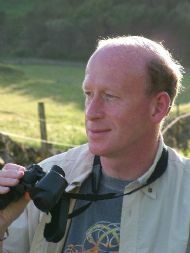 Kenny is a frequent contributor to BBC Wildlife magazine and has written two features to date for National Geographic. He has had poetry and essays published in Northwords Now and Island, appeared in and presented many broadcasts and scripted 16 wildlife films, principally for the BBC, including scripts for Peter Capaldi, Geoffrey Palmer and David Attenborough. As an activist, he has been centrally involved in campaigns about the Cairngorms, the community-linked buy-out of the Isle of Eigg and GM crop trials in the Highlands. An honorary research fellow of the University of Aberdeen, he also chairs the native woodland restoration charity, Trees for Life, the Cairngorms Local Biodiversity Project and WordsInc, the organising group for the Black Isle Words Festival.